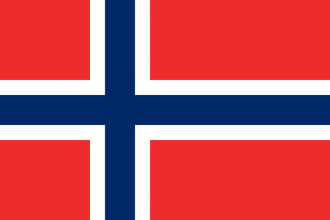 Norway is a minor nation in northern Europe. It shares a land border with Sweden (+20) and Finland (-10). Norway attempted to stay neutral in World War II (like all other Nordic Countries) and remained so until the 9th of April 1940, when Germany invaded both Denmark and Norway as part of Operation Weserübung. Operation Weserübung was intended to secure access to Norway's coastline and ports for the Kriegsmarine to use as well as ensuring the safe transportation of Swedish iron ore to Germany. In 1942, Germany established a puppet regime in Norway, known as the Nasjonal Regering or Quisling Regime, headed by Vidkun Quisling, party chairman of the Nasjonal Samling political party, Norway's fascist party. After the death of Adolf Hitler, the Flensburg Government (successor state to Nazi Germany) drew up plans to withdraw the remnants of the Wehrmacht into Norway and Denmark, establishing those countries as a national redoubt and last holdout against the Allies. Norway remained under German occupation until May 8, 1945. Norway, lacking a unique national focus tree, uses the generic national focus tree instead. Norway has most of the 1918 infantry and support techs but is lacking early artillery and tank techs. The nation does have a number of early air and naval techs. Norway starts with 3 research slots. Norway starts out as a socialist democracy. Elections are held every four years, with the next election in October of 1936. Norway does not have any national spirits. Norway is part of no alliance at the beginning of the campaign. Because of its socialist government it has good relations with other democracies (+10) and socialist countries (+20). Germany has a focus that lets it increase fascist support in Norway, though the AI does not take this path with historical focus on. It rather takes Operation Weserübung. In addition, the Soviet Union has the focus "Baltic Security" which gives a boost to communism in all Nordic countries, Norway included. Norway has spread its IC across 4 states, and has 5 open slots in 1936. These numbers represent the available resources, depending on trade law a certain amount may be traded away. Norway has a small starting army, and only 6860 free manpower. The starting division templates are the 9-brigade "Infanteriet Divisjon" and the 6-brigade "Binær Divisjon", along with the 3-brigade "Dragonregiment" Cavalry division template. Since Norway is already on limited conscription it needs to go to war or change its ideology in order to raise the conscription law and field a larger army. These are the Military Staff candidates for appointment in Norway. The best way to expand is to wait until Germany is fighting the Allies. Declare war on them then declare another war on another nation so they join the Axis keeping in mind to keep one neutral country between you and them to prevent a land invasion. This page was last edited on 7 November 2018, at 13:36.